BOP is an experimental, live sound art project and partnership with the visual artist and musician Kathy Hinde. Bespoke instruments, objects and materials amplified in real-time, sampled and overlaid with pre-recorded sounds and mixed with live vocals. Videos accompany each track. 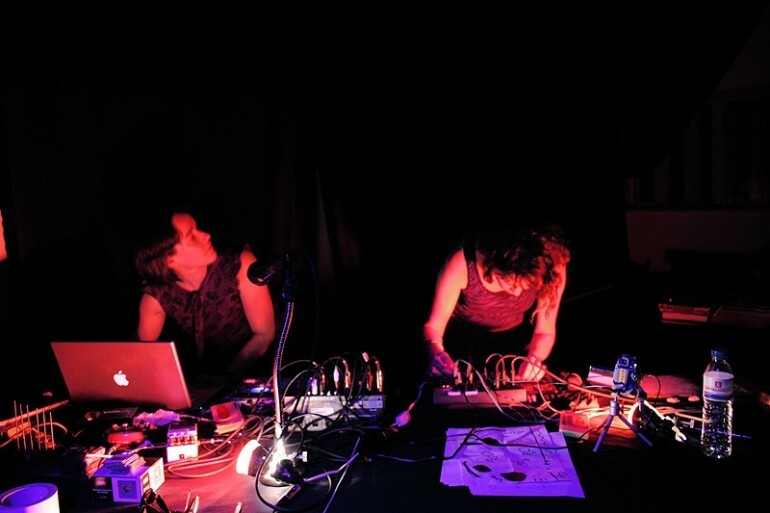 Over 2007-09, BOP toured and performed mainly in the UK and Europe (Pixelache, Helsinki; Bomba Suicida Lisbon; Temporary Art Centre, Eindhoven; STEIM, Amsterdam; and Venn Festival, Bristol).